IMAGE SIZE: 9 x 10 in. The starting point for this piece was a layering of thick buttery gesso on heavy weight watercolour paper, letting it dry and then distressing the piece by gently folding and twisting. 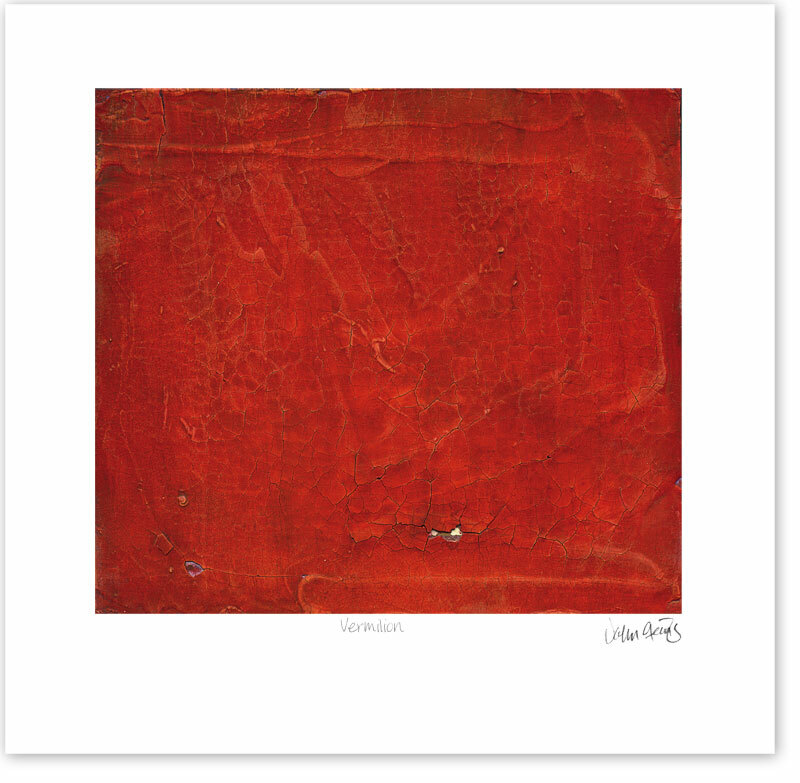 I then rolled on vermilion printing ink to the surface for printing in the etching press causing the ink to integrate into the surface.